Hunger is a problem year-round. But every November, there’s a little extra joy in sharing Thanksgiving meals with neighbors in need, by way of our amazing donors and Partner Agencies. One example is Harris Teeter. 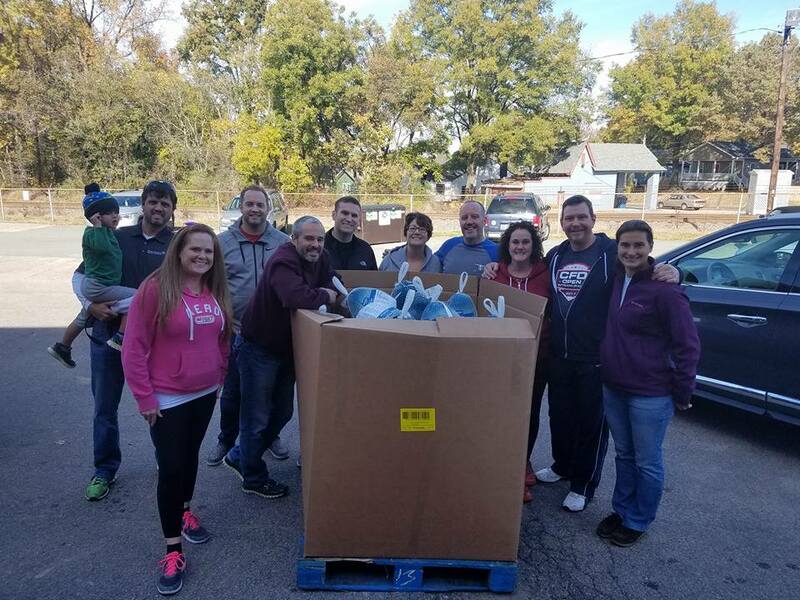 As part of their annual Harvest Feast campaign, they donated the food and volunteer manpower to create 2,000 Thanksgiving Dinner Bags for local families who would otherwise go without. Complete with poultry, dessert, and all the fixings in between, the Thanksgiving Dinner Bags did not stay at the Food Bank long. Partner Agencies were on site to pick up the bags and take them straight to their pantries, where they will distribute them to their clients in time for the big day. Also helping making Thanksgiving dreams come true for friends and neighbors is CrossFit Durham. Their 4th Annual Thanksgiving Turkey Drive delivered 302 turkeys to the Food Bank. But they’re not alone! David Weekley Homes donated 1,492 pounds of turkeys and even more Thanksgiving birds were given to the Food Bank via the annual Turkeys for the Triangle program by Coldwell Banker Howard Perry and Walston and Butterball. And of course, there are the Wilmington Street Turkeys! Every year on the Wednesday before Thanksgiving, volunteers from Wrightsville United Methodist Church dress up in turkey costumes and hold a ‘drive, drop, and go’ food drive in the Wilmington and Wrightsville Beach areas. They ask the community for Thanksgiving centerpieces, turkeys and hams, but also for pantry staples and monetary donations to restock and replenish Food Bank shelves, ensuring families will have food on Thanksgiving and the weeks that follow. We know that no North Carolina Thanksgiving is complete without sweet potatoes in some way, shape, or form! That’s why our Sandhills Branch has been working hard since November 7th to distributed approximately 184,000 pounds of sweet potatoes through Mobile Yam Jams. 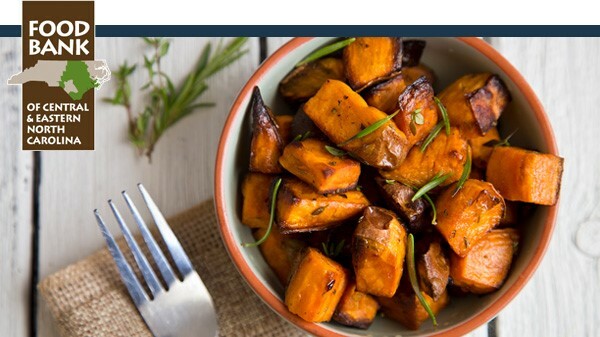 And if you’re looking for a tasty, healthy way to add some to your Thanksgiving table, our staff Nutrition Education Manager, Sara Clement, RD, LDN has selected just the recipe for you: Roasted Sweet Potatoes and Cranberries! The folks highlighted here are certainly not the only ones opening their hearts this Thanksgiving to provide the feeling of warmth, security, and belonging that comes from being around a meal with family. On behalf of the neighbors we serve, we are thankful for everyone who has given so generously to make sure nobody feels forgotten, and no one goes hungry this Thanksgiving. You can make a difference this holiday season! We all know the feeling of warmth, security, and belonging that comes from being around a meal with family. But not every family is so lucky. This year, we’re asking you to help us provide hope for the holidays. Right now your gift goes twice as far, thanks to generous friends who are matching donations, up to $77,000!